COLUMBIA, Mo. – Each year, overheated cattle cost farmers more than $1.2 billion. Now, researchers at the University of Missouri have created a smartphone application that can detect when a cow is at risk for heat stress. The app also can offer the best methods for intervention. The app, ThermalAid, receives temperature and humidity data from the weather service according to the GPS location of the user. The farmer can then enter information including: whether a cow is beef or dairy, outside or in a barn, on the pasture or in a feed lot, sick or healthy, and other information. With this information, the app then calculates the animal’s Temperature Humidity Index (THI). If the THI for a cow is normal, the app’s indicator glows green. If a cow is experiencing heat stress, the color changes to yellow, orange or red, which indicates a life-threatening condition. Through the app, farmers also have access to ThermalNet, a database that provides additional climate and weather data, as well as detailed tips to manage heat stress in livestock. 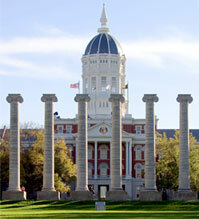 ThermalNet also allows users to communicate with experts at MU’s Division of Animal Science. Currently, the research team is hoping to partner with potential businesses to develop and market the new app and produce reasonably priced sensors that send more specific information on the animal’s environment and thermal status to the app. ThermalAid is currently available for purchase in the Apple App Store and will be available in the future in the Android Market.